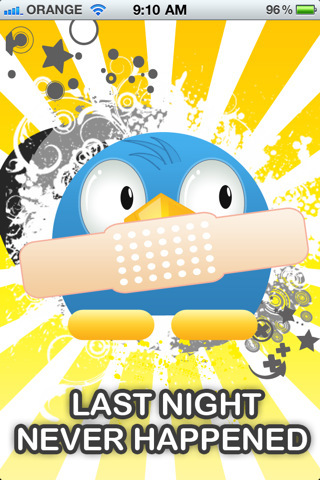 Last Night Never Happened is a new iPhone and iPad app by 22seeds that deletes last night’s activity on Twitter and Facebook. Unfortunately, the app does not delete last night’s activity in real life. We all get carried away sometimes and end up posting embarrassing tweets and photos of ourselves and our friends, forgetting that all of our Facebook and Twitter contacts can see them, family included! Last Night Never Happened is the life-saving app that will help you avoid letting those posts spread on the internet and save you a lot of embarrassment. 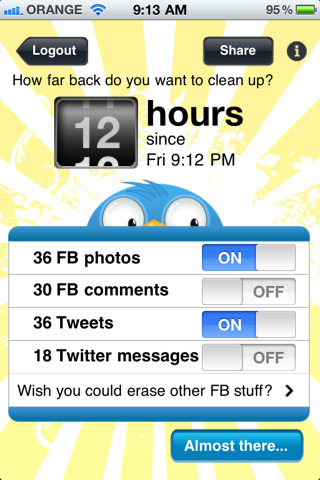 Delete multiple unwanted or embarrassing posts from your Facebook and Twitter accounts, including photos, comments, tweets, and direct messages. Available for iPhone, iPad and iPod touch.